Kennedy Space Center Trip - Rocket Not Launched - ABORT, ABORT! Yes my few fellow fans, I do have a bucket list. 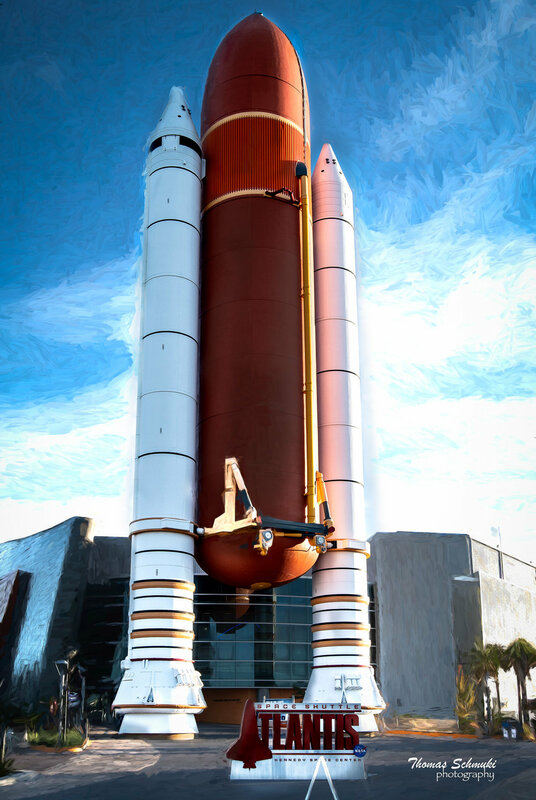 Attending and photographing a rocket launch at Kennedy Space Center was on my list. Play the 30 second video below!!! I have been to Kennedy Space Center many times in the past and frankly much prefer it over the them parks in Orlando. Once I found out there was a scheduled launch Tuesday December 18th at 9:30 am, I decided to go. I could not convince any family or friends to go with me. Not even a tease of a model shoot in the area. In any case I found out the gates open at 6:30 am for the shoot and that meant I needed to get up before 3:00 am in order to assure my on time arrival. 3:00 am, what am I NUTS? When I arrived on the grounds of Kennedy Space Center, it was about 6:15 am. There was a terrible long line of cars ahead of me, all of us in the dark and waiting for the Gods of the center to let us in one by one. Unfortunately because of my standard lack of planning and “shoot by the hip” persona I had not reserved a space in advance so I could actually observe the rocket on the ground and see the entire take off. Those spots had been sold out for months. I purchased General Admission tickets which allowed me on the grounds of the center. I was surprised the limited quantity of people who had arrived with me. There were more people at Jingle Ball. Hey, it just meant I had more space to photograph the launch. When we were T-3 minutes and counting, me along with thousands of anticipatory guests, the ABORT call came out. It was over. No launch today, and no explanation as to why. I understood the risk of my travels and the possibility of an abort, but I went anyway. What a disappointment. On my travel back home, I had realized I was getting really sleepy. I knew I needed to find the next rest stop and take a nap. I did not know I was dozing. All of a sudden my Honda Civic technology stepped in, BEEP, BEEP, and vibration on the steering wheel. The car woke me up. I was veering off the left side of I95. WHEW. Thank you technology. Guess I was not used to getting up at 2:45 am. Will I attempt this trip again, probably not unless circumstances are different. WOOF - where is my bridge?